As some of you may recall, back in 2007 I wrote a novel. And it did reasonably well, in relative terms – it sold okay, it won some awards. Some people liked it, some didn’t – but at the end of the day it was, in my opinion, the best it could be, in terms of story and structure. And it was a dream come true – I’d always wanted to write a book and be on the shelves with those other real authors on bookshelves. And I did it. At that time, my publisher asked if I had anything else. And I did – I’d been working on an idea for my second novel for some time, and I put it all together, locked down a first draft and sent it through. Except, it wasn’t very good. There are several reasons for this – the biggest one, I think, is imposter syndrome, thinking I wasn’t good enough. The best explanation I can give is this – when my first novel came out, I was asked to speak on a panel at the Melbourne Writers’ Festival. The panel was on… actually I don’t remember what it was on, but it was an academic sounding subject to which my book was tangentially related. And I studied for it, I researched, I wrote an in-depth speech that I felt fit the theme. I did all this because people were paying for tickets to this, people were paying to hear authors talk – real people paying real money to hear real authors. And I wasn’t so confident that I was the latter. Everything I said, everything I did around that time was all prefaced with the thought that I had to sound smart. I had to sound like a real author, like someone who knows what he’s talking about. But I was a real author. I had written a book. I knew exactly how to write, and exactly why I wrote it. Yet, for some reason, that didn’t feel like enough. This feeling pervaded into my second novel – my first book was an experiment, a test of sorts, to see if I could actually do it. If I could put together a reasonably compelling story and a few of my friends liked it, that’d be great. Actually, before I signed a publishing contract, I was pretty much consigned to the fact that it would only ever be an experiment. I’d sent it to a couple of publishers, a couple of competitions, with no idea what else to do with it. It had been a couple of months, I’d not heard anything. I thought maybe that was it, onto the next. But because that’s how I approached it, there was no pressure, there was no concern, I didn’t feel like it had to be anything it wasn’t. The second time around, this manuscript was going to real publishers, it was all set on a clear track to be published. It had to be good. That self-made pressure made it almost impossible to write. I had a draft, I had an idea of what I was aiming for. But I was trying too hard to be something I wasn’t, to be a published, award-winning author, rather than just letting myself breathe and create. There were other things along the way – my day job, getting married, having kids, all the regular challenges. But the real challenge was imposter syndrome, heaping pressure on myself. No one else did this. It was all in my head. People would sometimes ask why I stopped. I didn’t. I never have, and never could. Writing is part of who I am, it’s something I can’t help doing. I’ve always been writing, I’ve always been thinking of stories, of characters and angles and plot points. I’ve written a heap of things in the last decade, various pieces of fiction that have been published in literary journals and such, and an inordinate amount of non-fiction that’s posted all over the web. Writing is what I do – it’s not even really a choice. And I continued to develop and evolve the story of my second novel, till I got it out. 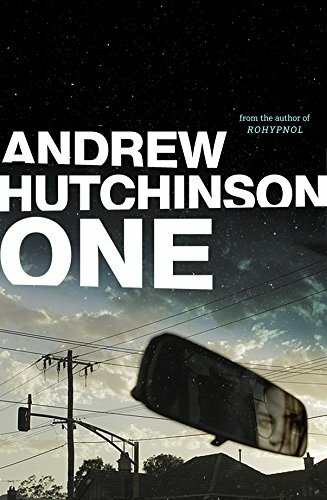 My second novel, ‘One’ will be published in 2018. It took me stripping it back to its core principles and messages and re-starting the whole thing – I doubt a word of that initial draft I put together has made it through. I kept poking at it, kept thinking it through, kept writing till it all became clear. And I’m immensely proud of the result – not just for my sake, but for the sake of my editor and publisher, and anyone else who’s given their time to offer feedback who’ve helped me refine it into what it is. It’s a lot different from my first novel, hopefully a lot better. It explores the challenges of all-consuming relationships and how they shape who we are. If you’re looking for something to read, give it a shot and let me know what you think – more release info here. Hi Andrew: who are your agent and editor/s please?